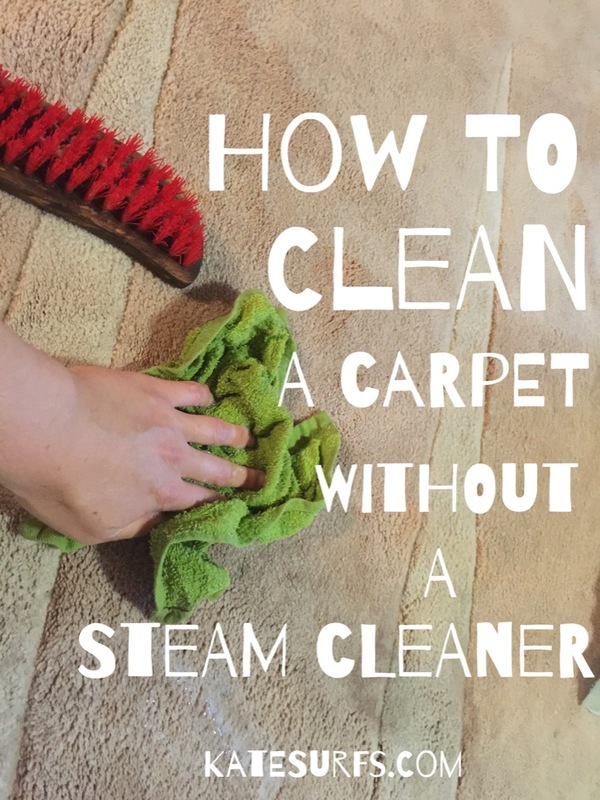 When you’re on a single income and you don’t have the money to buy or rent a steam cleaner, it’s pretty much up to elbow grease to get your carpet clean. Seriously, you must get down and dirty. You’re gonna have to get on your hands and knees and scrub. You’ll get sweaty. You’ll feel sore the next day. You’ll get a workout! But, your carpet will be clean. Posted in Eco Friendly Cleaning, Eco Living and tagged clean a rug by hand, DIY clean your carpet, easy way to clean a carpet, eco friendly cleaning, getting dirt out of a carpet, hand cleaning a carpet, hand cleaning a rug, how to clean a carpet without a steam cleaner, naturally cleaning a carpet, using baking soda to clean a carpet, using dish soap to clean a carpet, what can I use to clean a carpet by hand. Bookmark the permalink.